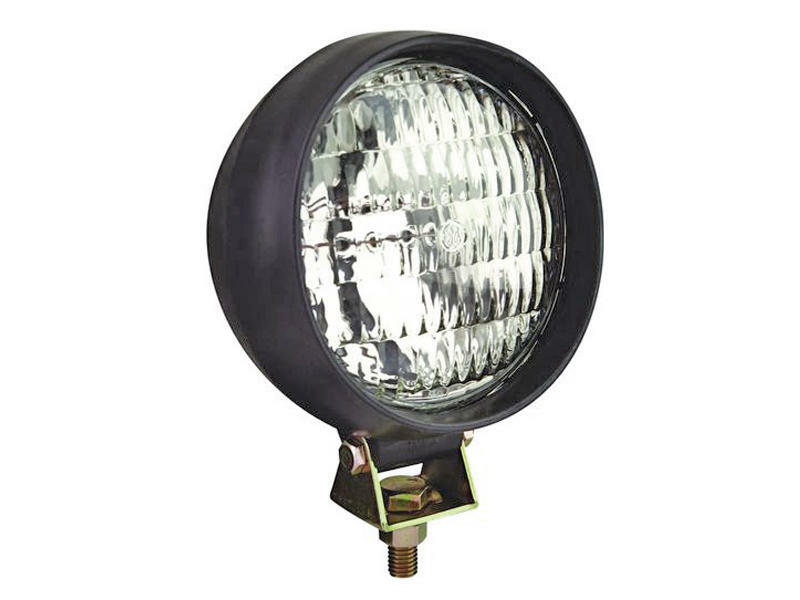 12 volt utility light with 4.75" round lamp, trapezoid beam. Shock-proof rubber housing. Ideal for farm implement use.